Karen Frank, our Congregation Nurse, integrates physical and spiritual health. Meeting with our members and their families, Karen consults on health concerns, assists in making lifestyle choices, helps to grapple with spiritual issues, and connects families to community resources. Karen makes hospital visits to our members listening to their concerns and helping in many ways to make their return home more seamless. She visits the frail and homebound members of our congregation to keep them connected to the community and safe in their homes. Providing guidance to congregants dealing with difficult medical diagnoses or conditions, Karen consults to aid them in navigating both their treatment options and their spiritual distress. She helps families to cope with challenging situations and provides them with support. 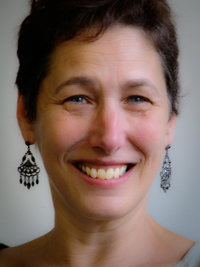 Leading caregiver support groups, Karen is the Synagogue Professional supporting the work of the Caring Committee and the Chevra Kadisha. Additionally, she teaches Shabbat Meditation, both as a stress relieving technique and as a spiritual practice. She also leads spiritual direction groups at the synagogue. Karen holds degrees in Psychology from the University of Michigan and Nursing from Oakland University. She is also a certified Jewish Spiritual Director. Karen and David, congregants of CAI, together have four grown children, a daughter-in-law, and a grandson. Contact Congregation Nurse, Karen Frank.